Insistence by Paris that Peugeot protect jobs in return for a bailout has understandably given GM jitters about a closer alliance. Europe’s car industry won’t be solidly profitable until capacity and costs are cut through mergers. Governments should help, not hinder, the process. 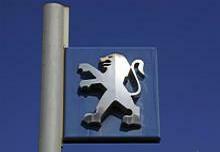 General Motors and PSA Peugeot Citroen have halted talks on turning the alliance they announced in February into a deeper tie-up, according to a Reuters exclusive published on Nov. 13. The two companies had been considering merging GM’s Opel unit with the French carmaker. Talks were called off after Peugeot accepted a state guarantee for its lending arm. The government bailout is “sabotaging the plan,” one source close to the discussions told Reuters.